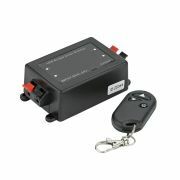 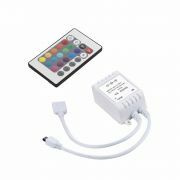 Easily adjust the colour, brightness and mode of your RGB strip lights with this fantastic touch sensitive controller. 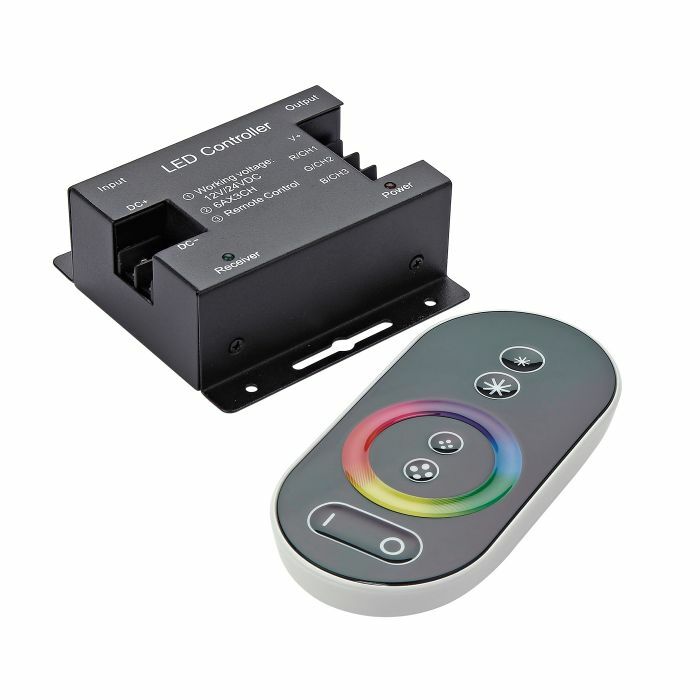 This three channel RGB (Red, Green, Blue) LED controller features a colour touch wheel for a smooth transition between a spectrum of colours. 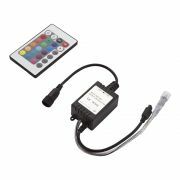 Play around with the 29 dynamic modes, static white mode, and static single colour modes with adjustable brightness and speed. 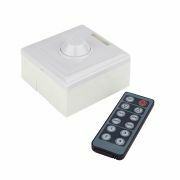 Complete with mode retention so that the controller resumes modes with the settings previously selected on power toggle.